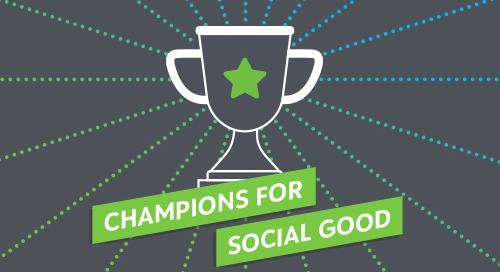 In this episode of the Champions for Social Good Podcast, Jamie Serino speaks with Matt Klein (@mattklein_), Executive Director of the New York City Center for Economic Opportunity (@NYCOpportunity), an organization that fights the cycle of poverty in New York City through innovative programs that build human capital and improve financial security. Matt explains how they use evidence and innovation to help the city address poverty and its related challenges through five essential streams of work: service design, evaluation, digital product, data integration and poverty research. Matt explains the common pitfalls and challenges that are inhibiting cities from making progress that are centered around access to resources, commitment to capturing data and finding the political will. Jamie and Matt then dive deeper into the aspect of data and discuss how to bring data and evaluation to bear on large city-wide programming. Matt also talks about the role of human-centered design, which is the use of empathy to understand how constituents experience their interaction with a program or a service and Matt explains how this is a key method in their program development. Lastly, Matt discusses how they have been able to use the Community Reinvestment Act (CRA) to support financial inclusion and empowerment services, citing how this has been an important driver of success for the Office of Financial Empowerment.